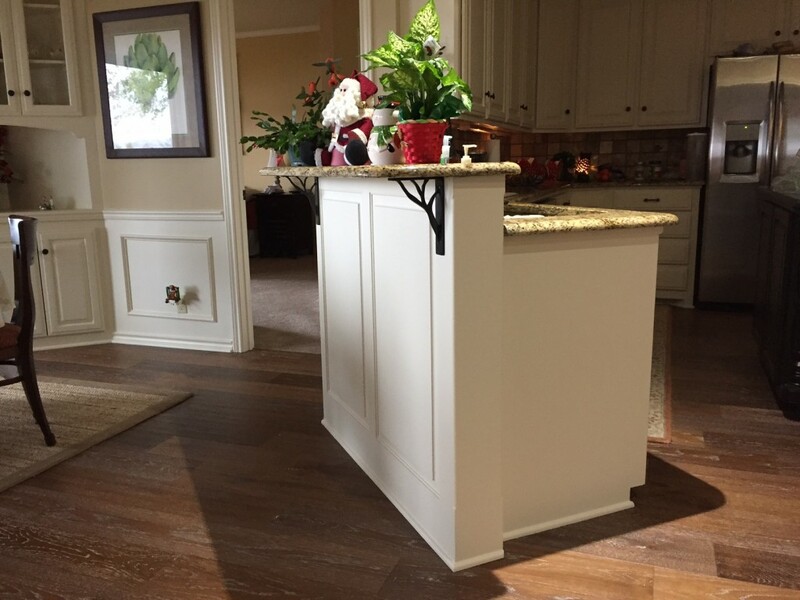 Barbara, from Texas, sent us these pictures of her lovely brackets she installed on her kitchen counter. Brackets are great decorative applications and, if made of the right material, can double as structural support. 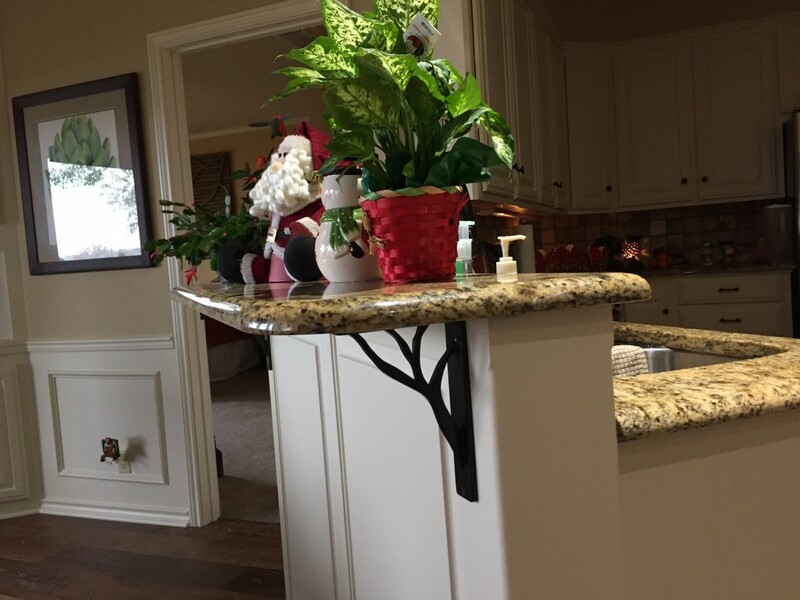 Barbara’s new Haven Wrought Iron Brackets adds structural support and style to her countertop. At Architectural Depot, we offer a large selection of brackets including urethane, wood, iron, metal, and stainless steel brackets. Click here to check out our other wide varieties of brackets.